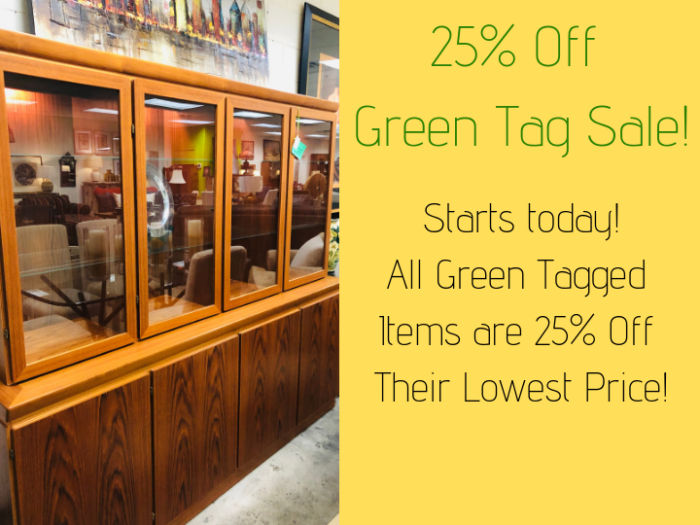 Today March 15th starts our 25% Off Green Tag Sale! Come in and check out all the great pieces that are now 25% off their already low prices. You won’t believe the saving you can find at eyedia!